Beth and Andrew Chatto began their garden in Elmstead Market in 1960. Combining Andrew's research of natural plant communities and Beth's passion for gardening, they transformed land declared unfit for agriculture into an oasis of green and gravel. Over several decades, Beth developed and refined her ecologically-inspired combinations of dry, damp and shade-loving plants both in the garden and for sale in her nursery, Unusual Plants. 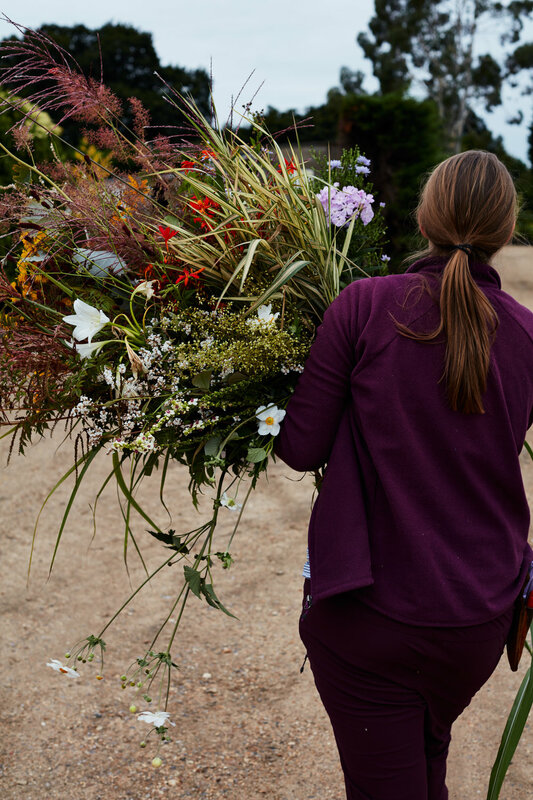 As an accomplished flower arranger, it is no surprise that her Chelsea Flower Show displays, uniquely arranged by habitat, would go on to win her 10 gold medals. In 1978 Beth published the first of many books, The Dry Garden. She began by asking readers to consider the conditions they faced in their gardens and then try gardening with plants that come from corresponding natural environments. In this way, problem spots became opportunities to grow healthier, more interesting plants (of which she could always provide an extensive list). The Gravel Garden, unwatered since its creation in the 1990s, still stands as the living embodiment of the concepts and combinations of The Dry Garden. 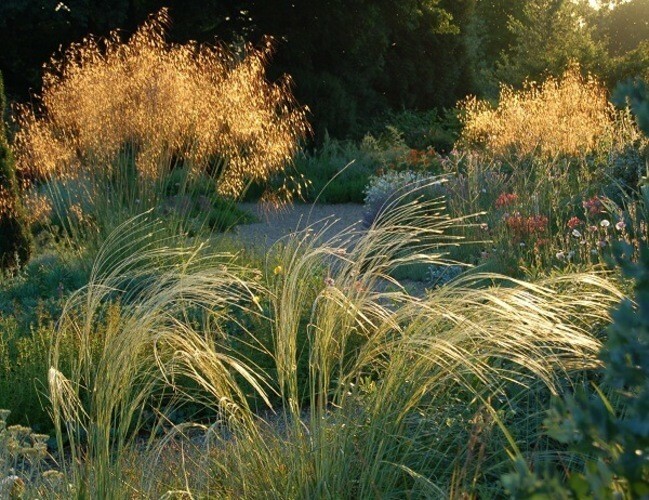 "Our time is so ephemeral, and no one can say how long any garden will last. It is being part of that continuous chain, passing on plants and the love of plants from generation to generation, that matters." Beth Chatto set up the Education Trust to carry forward her passion for plants and ecological approach to all age groups. The Trust is responsible for providing and managing an extensive programme for children and adults: from school visits and holiday activities to RHS qualification, artistic and wellbeing courses. The Trust's aim is to enhance enjoyment, understanding and interest in plants, gardens and the environment for all. 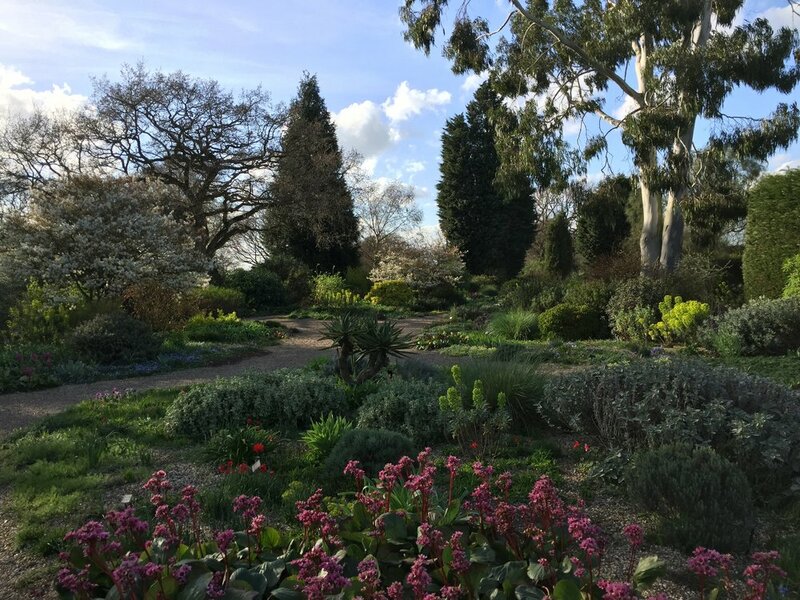 Beth Chatto chose to pursue an ecological planting style at a time when our understandings of climate change and conservation were still in their infancy. Since then, we have seen increasingly rapid changes to our climate and increased threats to our natural environment. “Right plant, right place” has gone from guiding a design aesthetic, to an imperative for all designs, at least if we are to imagine a future for gardens. Perhaps Beth’s most significant legacy, however, is her advancement of our understanding of plants, and her commitment to expanding the palette available. Her unusual plants, once regarded as little-known “weeds”, have become treasured favourites of designers and gardeners alike. They are the mainstays of the perennial trade today. It is only fitting that a symposium celebrating Beth’s achievements is centered around educating gardeners, designers and plantspeople, and championing new plants. With a mixture of lectures and moderated discussion panels, as well as plenty of time for professional networking, we aim to generate conversation and connections that will build upon Beth's lifework and contribute to ongoing developments in ecological horticulture. We are thrilled to feature speakers from around the world that are re-imagining ecological planting in both design and practice, and working to further advance and expand our plant palette. Join us in August as we explore the meaning, purpose and best practices of ecological planting in the 21st century. You can learn more about the Symposium on a recent episode of the radio program and podcast Cultivating Place. David is the Garden and Nursery Director at The Beth Chatto Gardens, where he has worked for over thirty years. He is also a Trustee of the Beth Chatto Education Trust. Åsa is the Head Gardener at The Beth Chatto Gardens, where she has worked for seventeen years. Amy is a gardener and floral designer. She spent the last two years training at English gardens, including The Beth Chatto Gardens and Great Dixter.